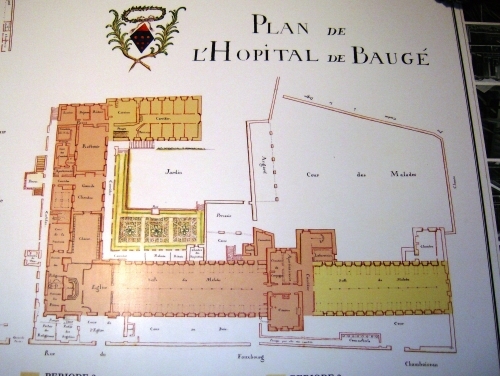 The Hôtel-Dieu of Baugé opened its doors to the sick in 1650 thanks to the determination of two women. They wished to offer care to the sick and homeless of the town and its surroundings area: they were Marthe de la Beausse, a nun from Baugé and Anne de Melun, princess of Epinoy. These two women were helped by the Hospital Nuns of Saint-Joseph in La Flèche. The nuns left the Hôtel-Dieu in 1991 after 350 years of dedicated care. In 2001 the last services were transferred to a new site that respected safety standards. Coming from a modest Baugé family, Marthe wanted to build the town’s first hospital for the increasing numbers of poor sick people. 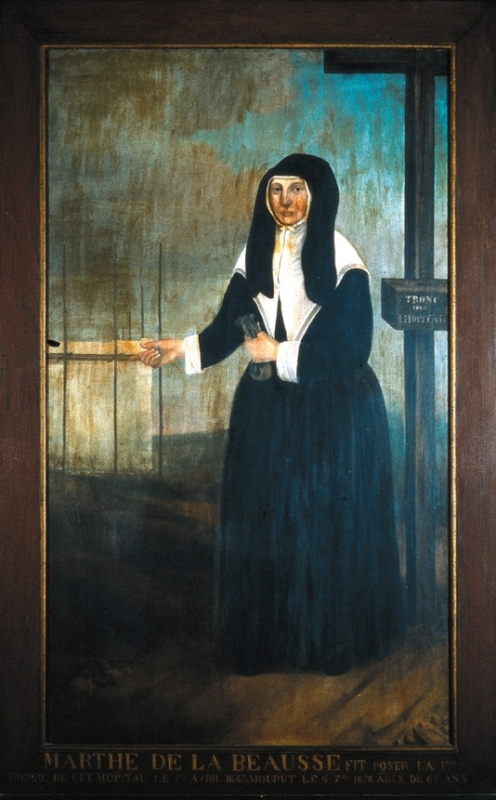 After a difficult start, due to lack of donations and rejection by the population, she met Anne de Melun from the neighbouring locality of La Flèche, who came to her aid. 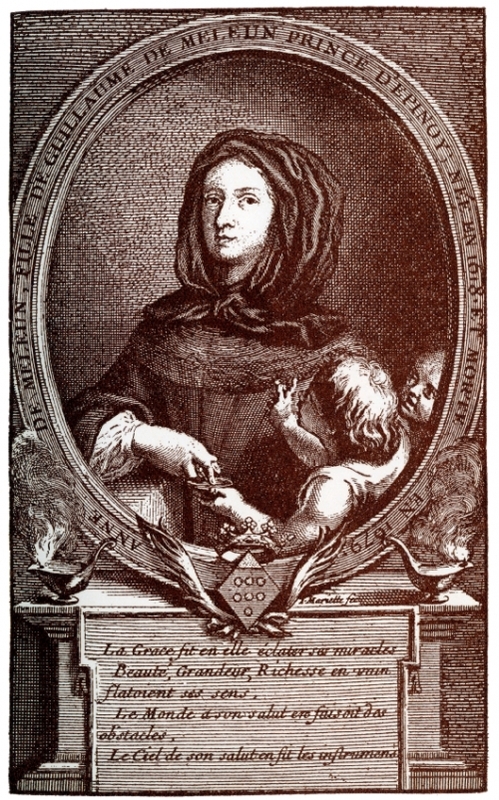 Finishing her pilgrimage at La Flèche in the community of the religious Hospitaller Sisters of St. Joseph, Anne de Melun, daughter of Guillaume de Melun, Prince of Epinoy, Knight of the Toison d’Or, Spanish Grandee, Viscount of Gand, Marquis of Roubaix…, decided to gather the funds required for the continued construction. Thus, in 1650, the hospital was able to accommodate its first patients under the direction of three Hospitaller Sisters of La Flèche. Only the incurable, women in labour and children were not admitted. In the late 17th century, the Hôtel-Dieu comprised a classic architectural ensemble, composed of a ward of around 30 beds, a large chapel and a convent, not forgetting the cloister gardens. Faced with the growing number of patients, the hospital was forced to expand. In June 1772, thanks to the tenacity of Sister Françoise Poulard, works resumed on the construction of the second ward. From then on, the first ward was reserved for women and the second for men. At the end of the 18th century, the hospital accommodated over 600 patients a year, with a strong community of around thirty nuns. 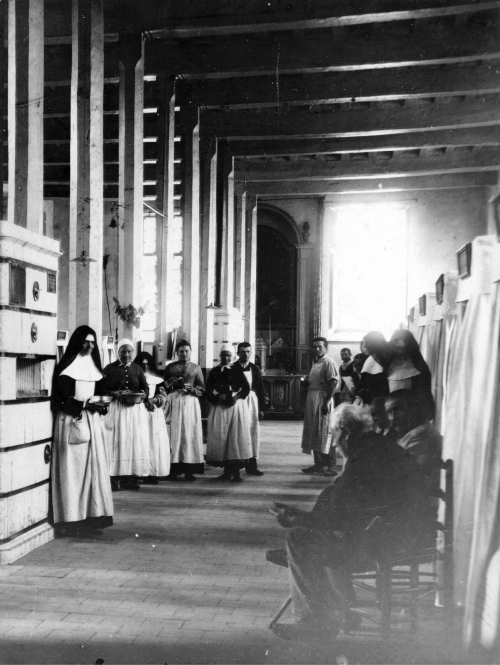 During the revolutionary era, the unrest caused the nuns’ revenues to dwindle, but the care continued. A leading reference in the region, the care establishment acquired an operating block in around 1900, which became a maternity centre in the 60s. After more than 350 years in activity, the hospital transferred the last patients to a new site in 2001.